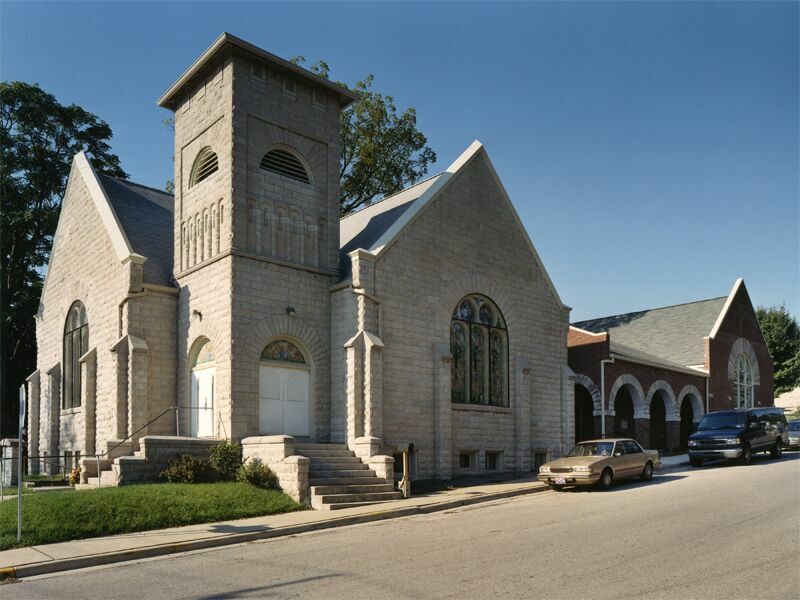 The Second Baptist Church project includes the restoration of the interior of a 1910 National Register church and an addition of a new entry porch, lobby, fellowship hall, administrative offices, restrooms, and kitchen. Situated on a restricted site, the new building addition complements the forms and materials of the historic structure while distinguishing itself as architecture of its own period. 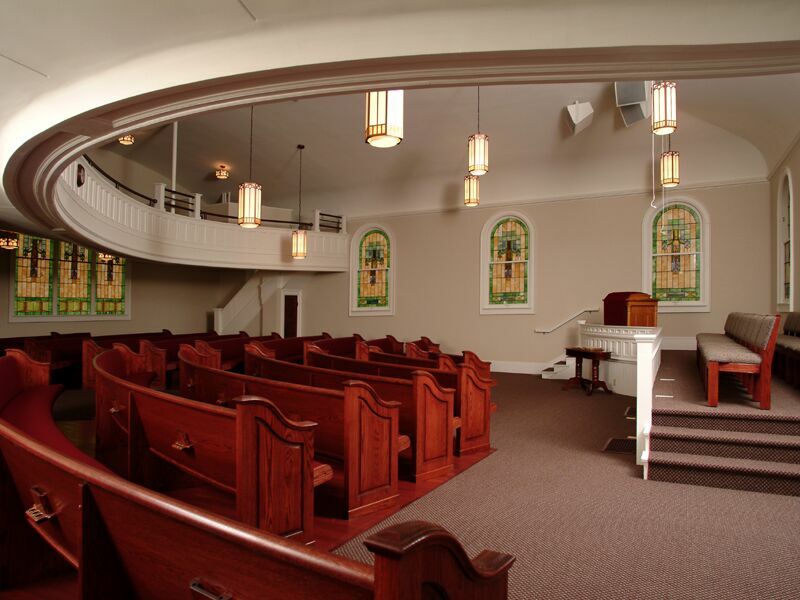 The fellowship hall is a large gathering space which may be subdivided into three separate conference rooms.